For the past twenty years, Kathryn and Ron Herman have made their home on a six-acre portion of the historic Pepperidge Farm. Named for a giant Nyssa sylvatica that still stands, this property was the birthplace of the eponymous baked goods company and retains massive specimen trees, sweeping lawns, clipped hedges, and an array of historic structures. 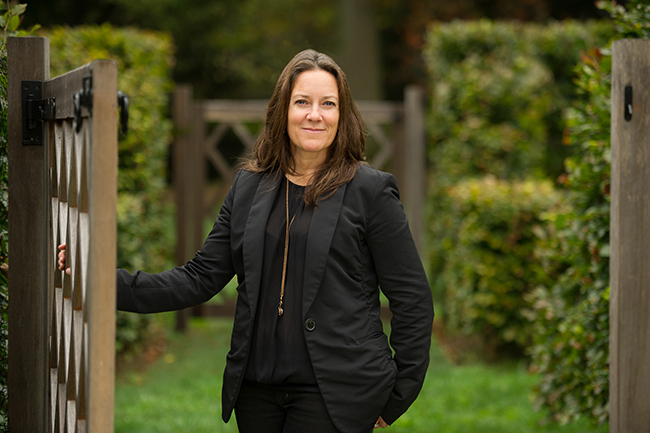 Kathryn is principal of Doyle Herman Design Associates, an award-winning landscape design firm based in Greenwich, CT. With traditional and modern properties, Kathryn and her colleagues pay close attention to existing architecture to create a strong connection between interior and exterior. They also add form and structure to gardens they create. At her own home, she and her husband carefully restored the estate’s original groom’s cottage and chauffeur’s quarters into structures that speak to the site’s rich history but are updated for the twenty-first century. The same careful process allowed Kathryn to knit together historic landscape elements, like the giant Taxus “muffins” that have been carefully sculpted since the late 1920s, with new features including the greenhouse and its garden. Her personal gardening passions burst into life in her double perennial border. Set into a sculptural framework of swooping hedges, Kathryn assembles loose blocks of vivid colors and textures inspired by her work with the great colorists and plant breeders Nori and Sandra Pope. Positioned to create stunning views from her living room and bedroom, the double border visually links the interior of the house with the exterior. 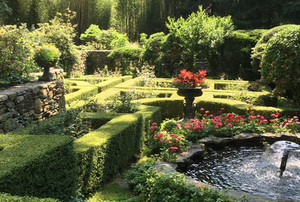 Kathryn’s exceptional garden won the 2016 Stanford White Award from the Institute of Classical Architecture and Art. In this special afternoon, participants will study Kathryn’s process as they explore her landscape, gleaning big ways of thinking about their own gardens, as well as myriad specific ideas for plantings and design. Drinks and hors d’oeuvres will be served. 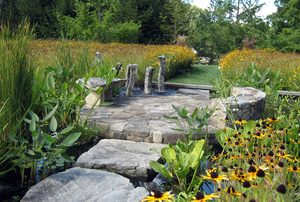 The garden of Kathryn Herman will be open to general Open Days visitors on this date from 10 a.m. to 4 p.m. 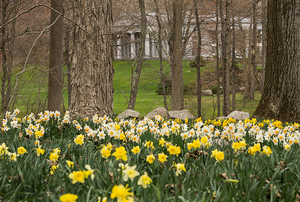 Your registration includes Open Days admission to this garden destination—a $10 value.